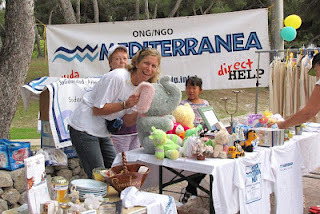 MEDITERRÁNEA, AN INDEPENDENT CHARITY AND THE WAY IT WORKS. Since the very beginning Mediterránea has continued to evolve and develop a system of work and self-funding which has enabled it to plow through these turbulent times of economic crisis, without having to reduce its aid programmes. Strangely enough, during these years of crisis we have increased our programmes and the number of members and collaborators. Now more than ever we collaborate closely with other organisations and we have no doubt that collaborations between two or more organisations, whether they be one-off or long term, is going to be the norm in the future. One of Mediterránea’s characteristics is not giving up when faced with challenges, injustice, corruption and the complexity of its aid programmes. This modus operandi is not easy and occasionally leads to huge difficulties and challenges. Just like in story tales, we’re not going to let evil get its revenge. Mediterránea has had various ways of working and the system we are currently implementing seems to be the most functional and efficient for an organisation made up of volunteers. The structure is as follows: there is a Board of Directors consisting of six people which makes the important decisions of the organisation and maintains and develops our philosophy, then there are programme coordinators, helped by volunteers and who put the charity’s tasks into action in the “operating theatres”. We also have members who help us with their donations, suggestions and by recommending friends and family to become members. The programmes work thanks to the effort and dedication of the coordinators and their teams. As time goes on and with the development of the programmes the coordinators specialise in a particular field and achieve high levels of knowledge and efficiency. These teams or cells formed by coordinators and volunteers are like the engine of the organisation and are so effective, their key components being the will to help and commitment. These cells understand that the work they do is more important than oneself and what matters is the results sheet. 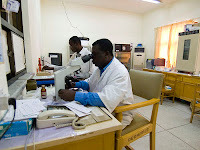 When a programme finishes the cell breaks up and the volunteers take a rest or they use their skills and knowledge to go and work in another cell. The Board members have fixed responsibilities and form part of one or more cells. Logically there are specialised volunteers who occasionally work in one cell for short periods and then go on and take their skills to another, which could be in a totally different sphere of work. Rigid structures can lead to monotony and loss of enthusiam for the volunteers. There are many reasons why people are attracted to do volunteer work for charities but they are motivated to work with dedication and achieve good results through their commitment, solidarity and devotion. Mediterránea aspires to grow and expand in a gradual and organised way, strengthening standards and respecting the fact that the volunteers don’t make a living out of this. The work responsibilities have to be distributed so that the volunteers don’t get worn out and it’s important for them to understand that they can tell us their limitations and availability with complete confidence. The volunteer gets their reward from the satisfaction of seeing a job well done and from what they have learned from this worthwhile activity. I hope that we continue to develop Mediterránea and its philosopy in the future. It’s a unique experience that gives so much meaning to my life and I hope that it has the same effect on all of you.